Okay, we get it. Wearing sequin dresses for New Year’s—or the holiday party season, for that matter—is about as groundbreaking as donning florals for fall. 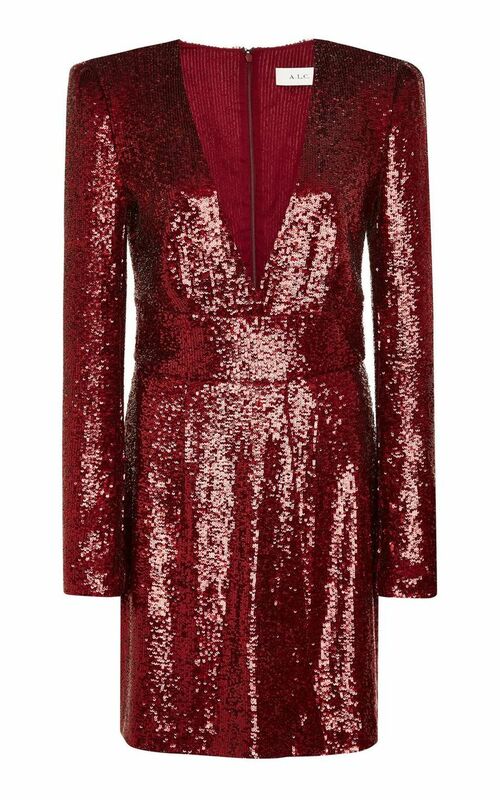 But hear us out: There’s a reason the sequin dress comes back for every New Year’s Eve. It’s become a seasonal classic. That said, if you’re in the mood to wear the sparkling staple this New Year’s, we know you won’t want to feel like you’re wearing the same party dress as every other girl in the room. Not to worry. We’ve got you covered… in sequins, obviously. From glitzy gowns to chic, long-sleeve minis, we’ve rounded up the coolest sequin dresses that won’t feel overdone down below. Style them with a semi-sheer pair of tights if you’re in a colder area for the occasion, or throw a chic faux-fur jacket over to keep yourself warm. No matter what, this will be your night to shine. Count on Galvan to make gorgeous gowns. A low-back dress is all we need. This was meant for a party. Wear this with a pair of classic black pumps. Everyone will have eyes on you. Now this dress is good. Bring the animal-print trend to New Year's. Ulla Johnson has some of the best dresses. Leave it to Rixo to make the perfect party dress. These are most definitely not your average sequin dresses.